North Korean leader Kim Jong-un says his country’s will to rid the Korean Peninsula of nuclear weapons remains “unchanged,” confirming that he is committed to a much-anticipated summit with US President Donald Trump. 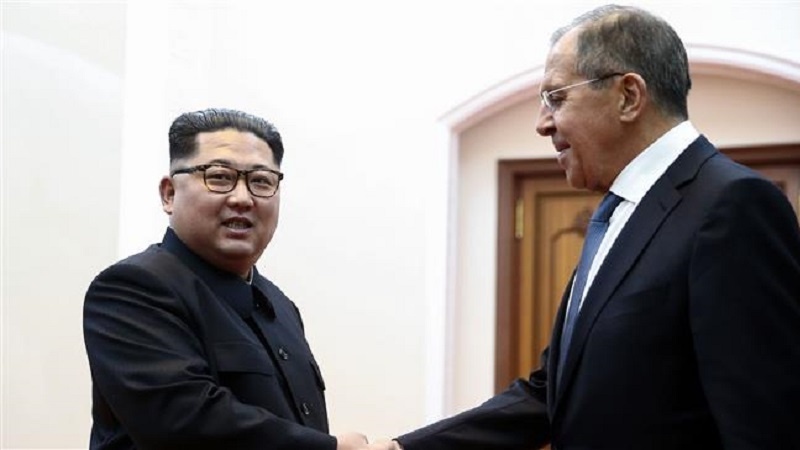 “The DPRK (Democratic People’s Republic of Korea)’s will for denuclearization of the Korean Peninsula still remains unchanged and consistent and fixed,” the official Korean Central News Agency (KCNA) quoted Kim as saying during a rare meeting with visiting Russian Foreign Minister Sergey Lavrov in Pyongyang on Thursday. The statements came shortly after remarks by US Secretary of State Mike Pompeo, who asked Kim Yong-chol, Kim’s perceived right-hand man, whether Pyongyang was still committed to denuclearization. Pompeo and the North Korean official met in New York earlier in the day to discuss a possible Kim-Trump meet in Singapore on June 12. The top US diplomat said during the meeting that Washington would “ramp up the pressure” on the North Koreans if the recent diplomatic efforts between the two sides failed. A series of US demands and threats, which have offended North Korea, have cast doubt on whether Trump and Kim will go ahead and meet. Trump officially cancelled the meeting on May 24 before retracting that cancellation just a day later. The US has demanded that North Korea give up its nuclear program at one stage, while Pyongyang has rejected that “one-sided” approach to potential negotiations. That’s more in line with a roadmap that Russia and China put out last year to end North Korea’s nuclear program. The joint plan calls for a “freeze-for-freeze” action in the first phase, meaning that North Korea would suspend its ballistic missile and nuclear weapons testing while the US and South Korea put their joint military exercises on hold. The North has already suspended its missile tests and even destroyed its main nuclear test site. However, Pyongyang recently snapped at Washington for holding new drills with the South. The Chinese-Russian roadmap suggests direct diplomatic negotiations between Pyongyang and Washington, and between Seoul and Pyongyang, in the second phase. The third and final phase includes further diplomatic efforts such as the six-party talks last held in 2009 between the Koreas, China, Japan, Russia and the US with the goal of cementing global and regional security.